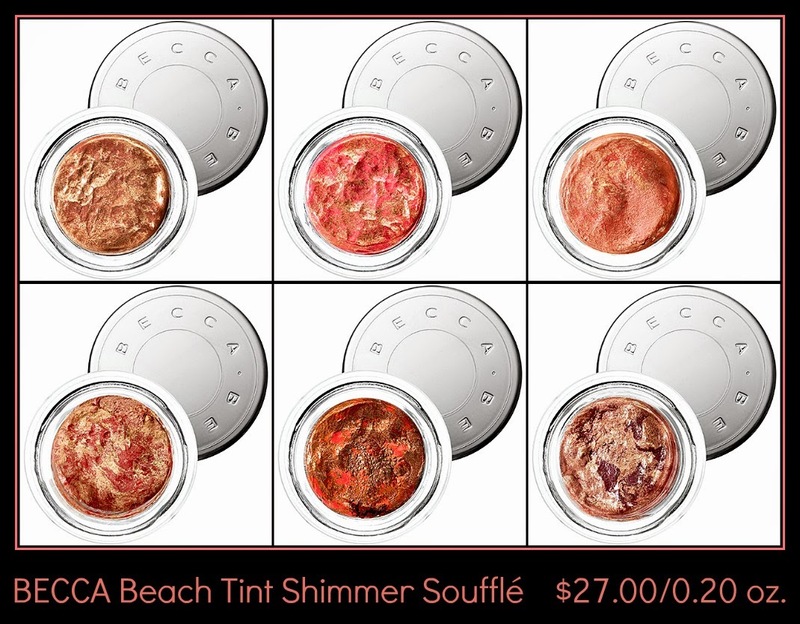 Becca Cosmetics just introduced their Beach Tint Shimmer Soufflé, and they are available exclusively at Sephora.com. Now I just need to decide which ones I want, because they look beautiful for the upcoming Summer months. This lightweight formula packs four must-have qualities into one formula: a powder to add a pop of color, a stain to give staying power, an illuminating highlighter, and a cream to deliver a flawless finish. Water-resistant and oil-free, each pot combines Becca’s bestselling Beach Tint with a Shimmering Skin Perfector™ for effortlessly buildable, complexion-enhancing color, soothing hydration, and a youthful glow.